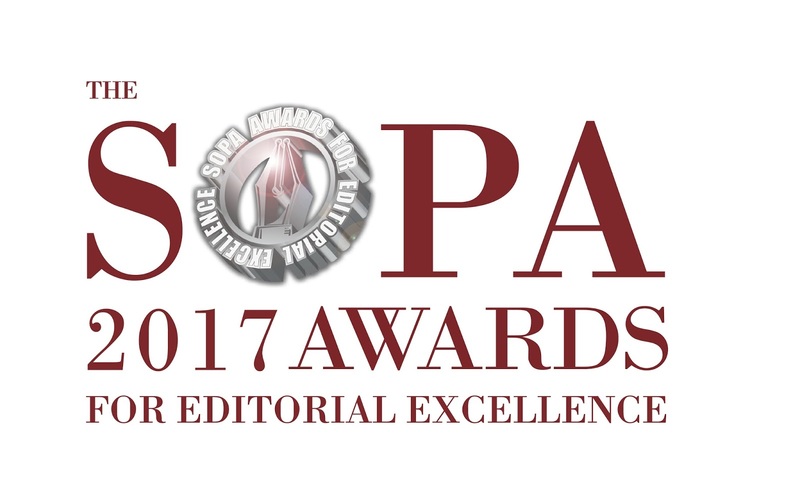 HONG KONG, CHINA - Media OutReach - April 18, 2017 - The Society of Publishers in Asia (SOPA), a Hong Kong-based not-for-profit organization, today announced that it has received more than 750 entries in English and Chinese for the SOPA 2017 Awards for Editorial Excellence, a record number for the third consecutive year. SOPA also announced that the keynote speaker at the SOPA Awards Gala Dinner will be Chris Patten, Hong Kong's last colonial governor, who will be speaking to the gathering by video from London. In an exclusive address just two weeks before the 20th anniversary of the Hong Kong handover, Mr. Patten will talk about his views on the future of Hong Kong and the current worldwide backlash against globalization. The awards, widely considered the most prestigious in the Asia Pacific publishing industry and a world-class benchmark of journalistic best practice, are now in their 19th year. This year's awards include two new categories -- Excellence in Journalistic Innovation and Excellence in Video Reporting -- to better represent the region's evolving media landscape and growing use of digital tools and short-form videos. "The record number of entries once again shows how media value SOPA as a platform for both large and small publications to showcase their best work," said Ms. S.K. Witcher, Deputy Asia Editor, The New York Times, and Chair of the SOPA Editorial Committee. "I am delighted to see an overall increase in submissions from Chinese-language media outlets, underlining a trend in recent years." For the 2017 Awards there are 17 categories from Excellence in Business Reporting and Excellence in Feature Writing to Excellence in Photography andJournalist of the Year. The judging panel, appointed by the Journalism & Media Studies Centre of the University of Hong Kong, which is the Awards Administrator for the 7thconsecutive year, comprises more than 100 media professionals from some of the region's most influential publications, along with academics from a number of Asia's leading journalism schools. The panel is led by Jeffrey Timmermans, Associate Professor, Journalism & Media Studies Centre, the University of Hong Kong. "SOPA's mission to promote excellence in journalism, along with a strong, vibrant and independent media, dovetails with what Hong Kong stands for," said Edith Wong, Chief Marketing Officer at Invest Hong Kong. "A dynamic media that sheds light on the important social, business and public affairs developments and issues is vital for business. We see that in Hong Kong and this is why so many people want to come and work here." 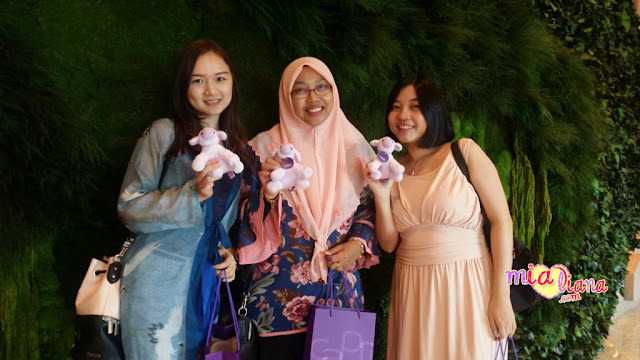 Irene Jay Liu, APAC Lead of Google News Lab, said: "Journalism is the cornerstone of a well-informed society, and Google is honored to once again celebrate rigorous reporting and innovative storytelling across Asia through our support of the SOPA Awards." George Chen, Facebook's Head of Public Policy of Hong Kong and Taiwan, commented: "Facebook is a new kind of platform and we want to do our part to enable people to have meaningful conversations, to be informed and to be connected to each other. 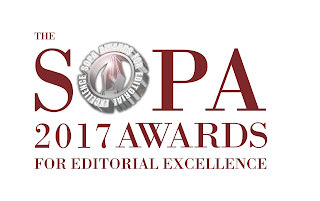 We are proud to support SOPA Awards for Editorial Excellence to celebrate the best players in the media industry. At a time when we see strong desire by the public for quality content, Facebook will continue to work with SOPA to drive news literacy for the public and develop digital media transformation for publishers." wahh bagusnya ada anugerah macam nih utk penulis.